I recently had a calcium level of 10.6 (8.8-10.5) very slightly raised. My rheumatologist did blood work but never mentioned it to me. I only found out because she sent me a copy of my results. So if she didn't think it was anything to worry about, Is it? I also have a rare liver disease-Liver Adenomatosis- which was diagnosed about 2 1/2 to 3 years ago. I've had blood work done last year and the calcium level was 10.1. So do I have anything to worry about? Can it be caused by liver disease? and scare me. Please advise. ps I'm skeptical of saying anything to my regular doctor because I've been through so much with no results to the problems because of Fibromyalgia. I've covered the 'slightly' elevated calcium issue many times and ask you to please read the diagnosis page of Parathyroid.com. As afar as I'm concerned, if you have a high calcium level then you DO have parathyroid disease until an endocrinologist that specializes in parathyroid disease says that you don't have it. You should INSIST on having an endocrinology consultation. Next, you do NOT have Fibromyalgia. You have a bunch of symptoms that doctors don't know what to do about, so they take all of your symptoms and say that they look the same as all of these other problems that other people have, so they say that you have Fibromyalgia. It is NOT a diagnosis. There are a LOT of reasons why you could be having the symptoms that you are having, but you need to get your parathyroids checked out by a parathyroid specialist before you do anything. please discuss the tests for parathryroid, I cannot tolerate any kind of injection of medication which would show the bad gland. what are the options? I'm not a doctor and therefore I don't discuss 'options for testing'. That is something that you would need to see a parathyroid specialist about and discuss with him. will see my doctor in a week. He's ordered another Ca++ Pth and Vitamin D profile. I would need for a diagnosis of Parathyroidism. The information on fibromyalgia was very interesting and helpful. 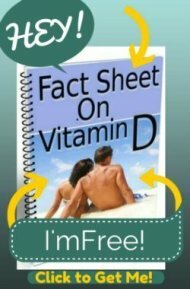 The Vitamin D Profile is just one test, a Vitamin D Level. You can read more about the test on the Normal Vitamin D Level page. Unfortunately, the next step to 'rule out' hyperparathyroidism is to see an endocrinologist who specializes in parathyroid disease. Actually getting your PTH tested may just make things more complicated if its normal. If it IS normal, your doctor is going to tell you that you don't have parathyroid disease and that a referral to an endocrinologist is 'not indicated'. But if you again read parathyroid.com, they will tell you that about 15-20% of people with high calcium levels will have normal PTH levels and that it's STILL very likely that you have parathyroid disease. But because you are asking ME questions about the next step for diagnosing parathyroid disease, it makes me believe that you have not read through parathyroid.com very carefully because all of this information is there. So, again, I would suggest that you take an hour or two and read through their website CAREFULLY and THOROUGHLY and when your lab tests come back then you can know what to ask your doctor. my husband has a PTH over 800, but a calcium level just slightly over10, and he has low Vitamin D (he works outside) He has severe bone pain that no pain medication helps, is exhausted all the time, doesn't want to do anything. The VA doctors says he has antibodies in his blood causing the high PTH, but What is causing all the other symptom His pain is getting worse. What can we do. He had a parathyroid test, but it came back negative, which I am told happens a lot. He does have unexplained pain in the back of his neck which I am wondering if it is a coincicence. You are on the right track and stick with it. Labs and doctors typically look at calcium ranges in the 10s as normal, but this is because the range includes children - it does not differentiate for adults. Anything over 10.0 is elevated for adults and is the primary indicator for hyperparathyroidism according to the world class specialists at Norman Parathyroid Center in Tampa - www.parathyroid.com. You must become informed and dont be surprised if your doctor doesn't agree. I struggled with fibromyalgia for years before I learned about this and last month I had two parathyroid tumor removed. It saved my life. Don't delay - learn all you can about this from the leading experts. Kerri keeps emphasizing correctly how important it is to read through the parathyroid.com site. It is very informatics and will answer these questions in great depth. I didn't know anything about the parathyroid glands until I came across their site and ultimately had two parathyroid tumors removed last month. Everyone should know that adults with calcium levels over 10.0 should be checked for hyperparathyroidism and not to expect their doctor to agree (mine didn't) because they think the level should be over 10.5 before it is considered elevated. This is not what the experts are finding. My calcium levels were consistently in the low 10s which is why my doctors for years never considered parathyroidism. Now that I am unemployed and struggling with a huge deductible health insurance plan, the doctors are concerned with some lab tests. 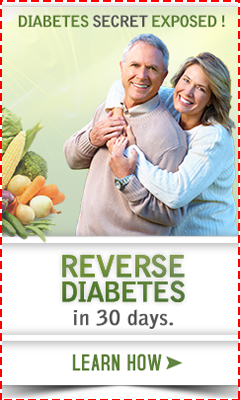 I was diagnosed with the onset of kidney failure a couple of years ago, and I am diabetic. Does anyone know if these are acute numbers, or just something I can control on my own. Please read the thread, as was mentioned in the thread. It gives you the answers that you are looking for about your calcium levels. If you have high potassium levels and kidney failure, this is not a 'nutritional' problem, and you need to see a nephrologist about this. When you have kidney failure, you cannot 'manage' your condition nutritionally, you need to make sure that you are seeing a nephrologist regularly. In fact, I do not deal with people with kidney failure because, while it may be nutritional issues that GOT you where you are now, you MUST be under the close supervision of a nephrologist if you are attempting to deal with any of these issues. Hi I am really worried my Dr has found that I have slight calcium levels but is not to worried and thinks this may be my norm. She is a new Dr and which I am pleased about is looking into my background to see if she can link anything. My symptoms are as stated in fact I have most of them but for 10 have been diagnosed with fibro. My symptoms are getting worse by the week and are making my arthritic knees in unbearable pain which I think know is aggregated by fibro.or is it my parathyroid. I am on a very high dose of morphine which makes me feel u.well in myself on top of everything. I would suggest reading the thread and clicking the link to the parathyroid website suggested in the thread and reading it carefully, particularly the part about 'slightly' elevated calcium levels. I have had a cyst in my neck which the consultant does not seemed worried about as two needle tests showed no cancerous cells and because it would mean a risk taking this out they have not dealt with. However, I have recently been unwell with a lumbar trapped nerve pain down the front of one leg and buttock ... first blood test showed up slightly raised calcium and then the next showed normal level.. I am quite confused as to whether I should take this further. I am presently awaiting an MRI on this lumbar area. So my endocrinologist says I have a hyper parathyroid. Sometimes the levels are high other times low. My calcium has been normal or in the 2.67 orange. Just got my results today and there 2.8. I'm scared it's going to effect my heart or brain. They tried to do surgery in February but I freaked out. I suffer from panic and anxiety so I'm on edge. It's more health anxiety. Should I worry about it being 2.8? I'm driving myself crazy thinking I need the hospital but I'm not sure. Looking for answer or reassurance till I can call and speak to my endocrinologist and ENT specialist.